Hello! It’s Courtney from Paperelli. Spring is almost here and I am CAN’T wait! Every year I swear winter gets longer and longer. It seems like the weather might be getting a little bit warmer and I absolutely have spring fever! How is your weather? Warming up? With Valentine’s Day just around the corner, I still have all my Valentine’s Day decorations up, but you better believe that the day after I am pulling out the Spring decor! I can’t wait to add a little Spring sunshine over here. 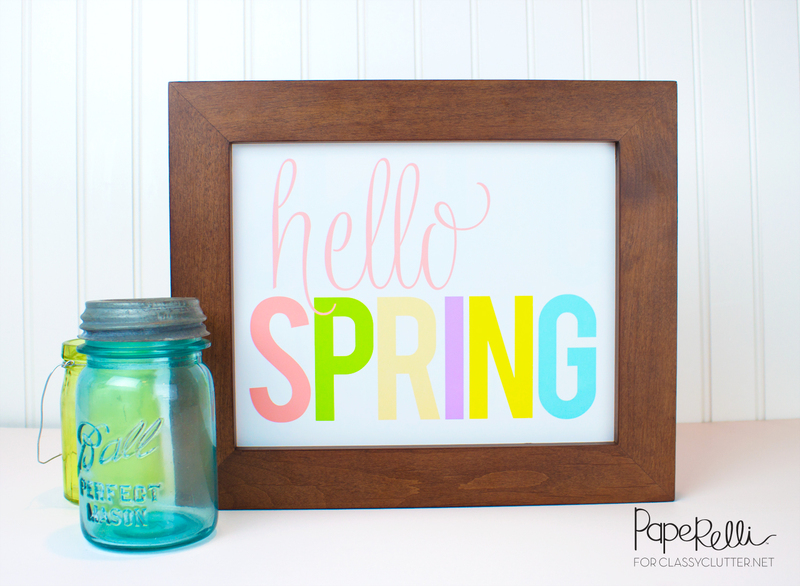 I thought it would be fun to share this Hello Spring Printable with all of you. It is super easy. 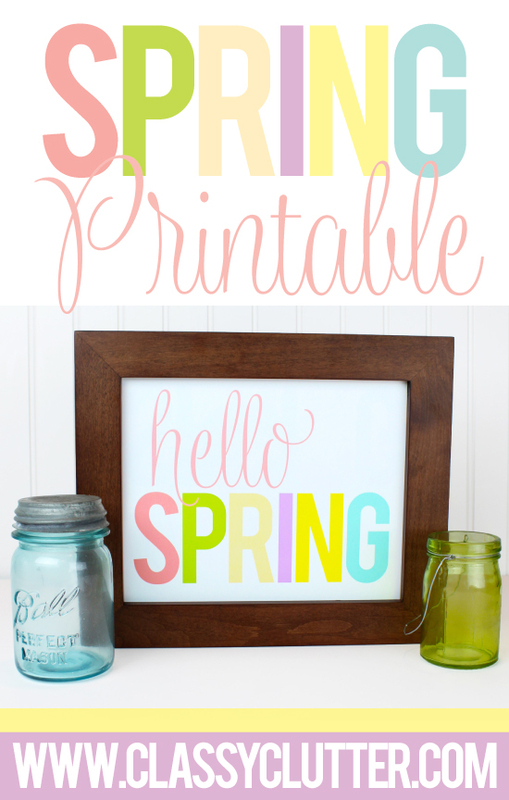 All you need to do is print, download, and add to an 8×10″ picture frame! As always, I LOVE seeing what you do with your printables. 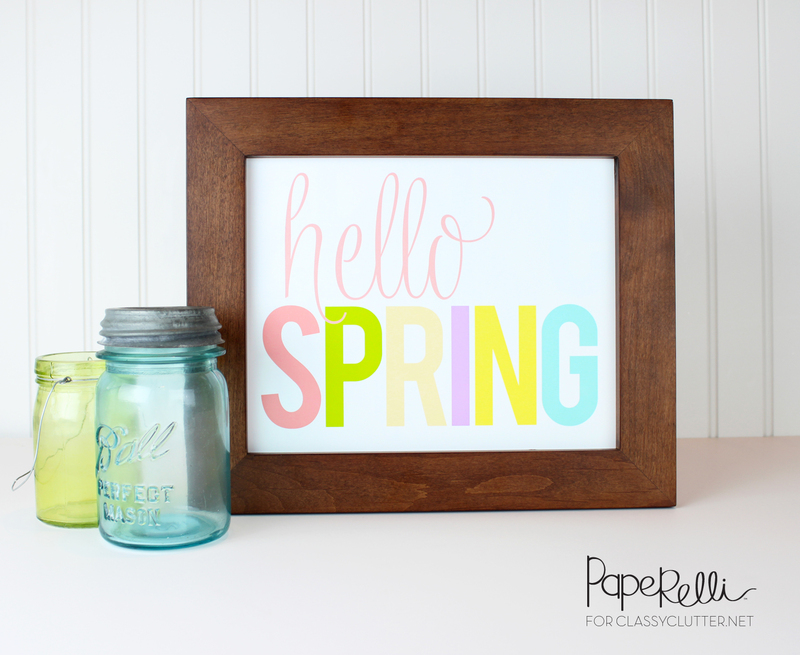 Be sure to tag @paperellidesigns and@classyclutter and show us what you decided to do with your Hello Spring Printable. I almost cried when I saw this post. First, because there are four feet of snow on the ground where I am. But then, it was almost tears of joy because you are right, Spring is coming! Soon. Right?? Hi Marybeth! I’m in Buffalo NY and we have 4+ feet too!!! Spring. Is. Coming! I can’t hardly wait!